Dude, what a snazzy little Paint Pot! 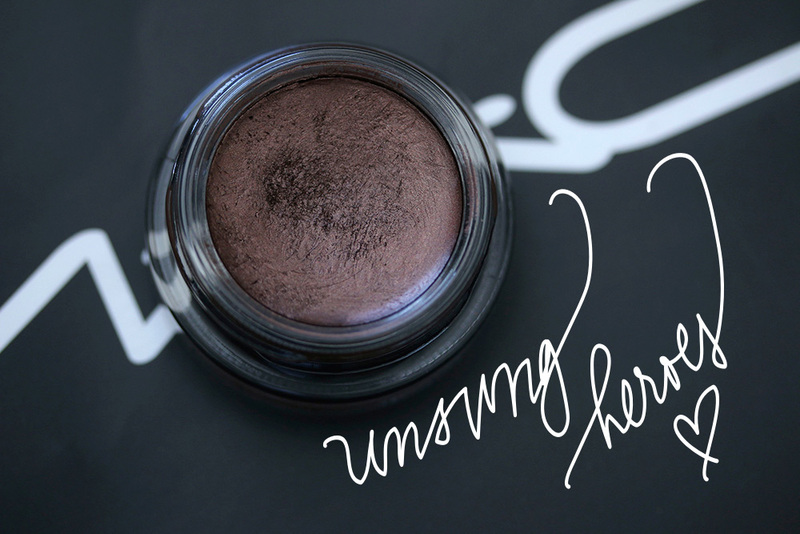 This pearlescent reddish brown cream eyeshadow is a $22 member of the MAC permanent line, and we’ve been hanging out even more than usual lately. If you love brown eyeshadows as much as I do (and I know my girls are out there; I can’t be the only one! 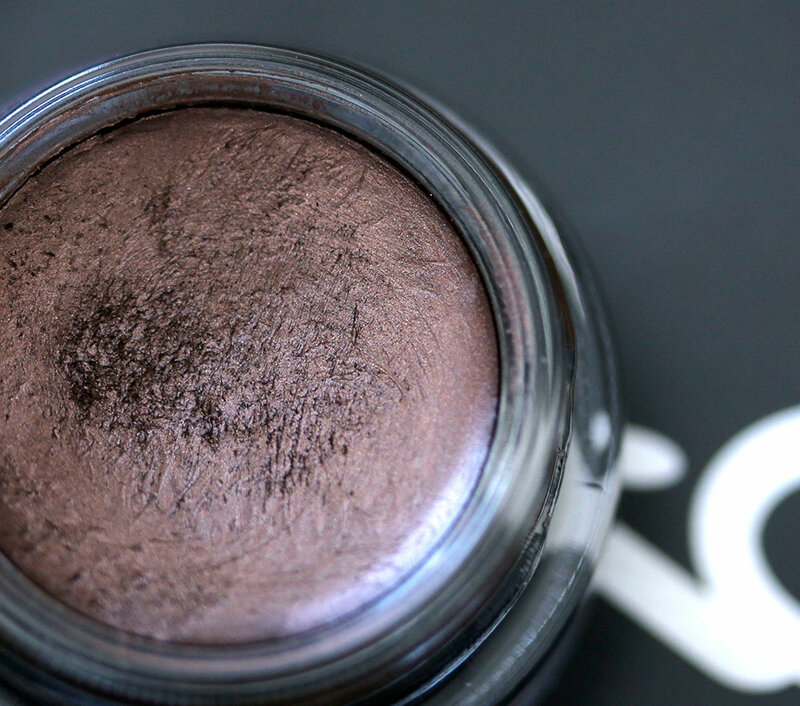 ), Constructivist is absolutely must-have, especially if you’re also a MAC fan and a lover of neutral shadows. Flexibility is Constructivist’s super power. You can wear it by itself (which I do all the time), or use it as a base under other powder eyeshadows, and hello! — it looks lovely with so many different shades, but I’ll talk about that more in a second. Highly recommended for hop-to-it mornings when you can’t dilly-dally. On days like that I’ll grab Constructivist and set my timer for 20 minutes (or sometimes 15…), and I know I’ll be able to finish an eye look with it because Constructivist is one of those products with a lot of leeway to improvise. Because it’s creamy like soft serve, edges are easy to erase, and it lasts so long on its own that I can skip primer and just apply it on mah bare lids. Sometimes I’ll pat it on with a MAC 239 brush, then buff out the edges with a MAC 217, repeating that process a few times. Then I’ll do a little Teddy, Costa Riche or Prunella eyeliner on my water lines, add some mascara, finish the rest of my face, and I’m done. And when I have a little more time and somewhere special to go, I might add some black winged liner along my upper lash lines, because I think that elevates the whole ensemble. Constructivist rocks those quickie eye looks! 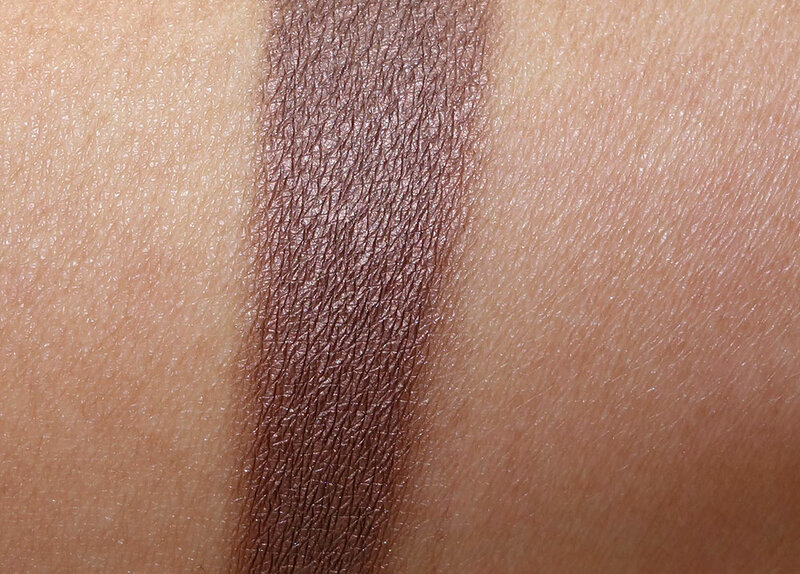 It’s also really beautiful when worn as a base for classic MAC shades like Sable and Mulch (particularly those two), but basically anything brown, reddish brown, golden brown, purply brown or bronze should work well with it too. I use it all the time with the Nordstrom Naturals 15-pan palette. That one has several shades that look great on top of Constructivist. One combo I like to do involves Saddle in the crease, Mulch on my lids and a bit of Beauty Marked in the outer corner. The MAC Warm Neutral Palette is another one. Even the Brooks Shields Gravitas palette… Remember that one? Previous Post: On a Scale of 1-10, How Much Do You Hate Having Your Hair in Your Face? I think a lot of the Paint Pots, besides like Painterly and Soft Ochre which are so popular, are underrated! I have Indianwood and it’s a great richening base for coppers, bronzes, and browns, or just smoked out on its own! Ohhh that’s a gorgeous color! Hmm… Maybe I should try this one out. I had Indianwood and I really wasn’t a fan, the chocolate color on my skin tone wasn’t flattering. I liked rubenesque, but I b2m’d it because it was getting old already and I keep on top of stuff like how long I’ve had eye products for. *raises hand* I’m a neutral/brown eyeshadow lover! I have & love Mulch. And I’ve hit pan. Give me a moment, though, * insert tears here,* I didn’t get the Brooke Shields palette. 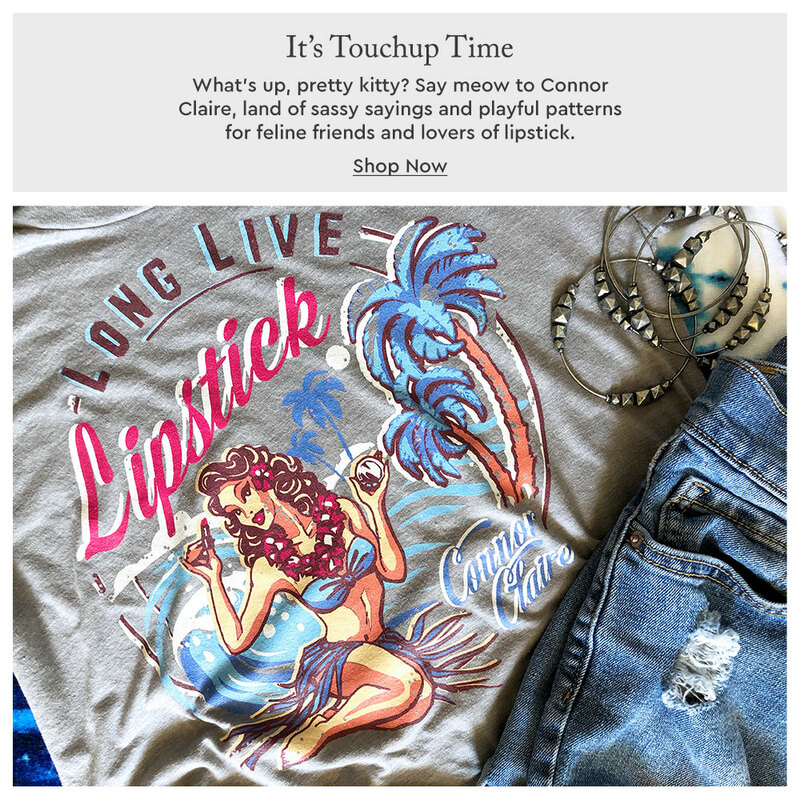 Sad day when I went to purchase it & it was sold out. Cool of you to introduce this color. I need to go & make its acquaintance. Love MAC paint pots. I love my paintpots for everyday use, but I somehow never tried Constructivist. I stick to Groundwork If I do a brown shadow, but that one seems to have a little more oomph. Love the color in the swatch on your arm. Great for you skin tone. I don’t think I could pull it off. I LOOOOVVVVVVEEEEE Constructivist! I’m wearing it now–hell, I’ve worn it almost daily for the last month. It’s so easy, and just does something pretty awesome for my dark brown eyes. I apply it with my fingers, and blend it up, then run a little on my lower lash line. To “fancy” it up, I will sometimes press a bit of Half Baked, from my Naked palette, on top of Constructivist in the center of my lid. If I were a poet, I would write freaking sonnets about my love of Constructivist! I have this one and Painterly. I love using them both for a quick smoky look!